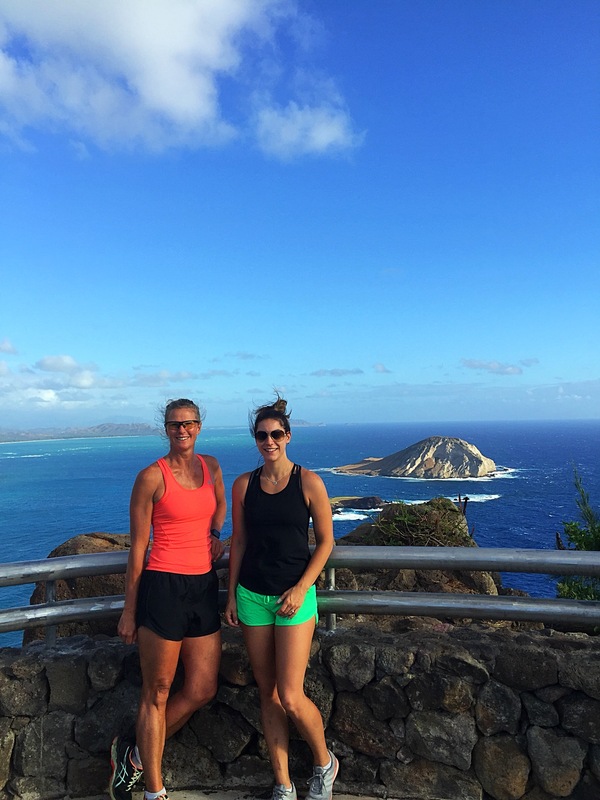 After our eleven action packed days on Maui it was time to begin our journey home with a three night stopover on Oahu. We had booked a house in Hawaii Kai which was a residential area. It was the best Air BNB we have stayed in – the attention to detail of the owners was second to none. We had our own elevated BBQ area with artificial grass, a table and chairs and sun loungers. We had a view down the valley to the ocean. It was so nice to sit outside at night time and have dinner and enjoy the breezey but warm air. Taj loved it and spent his time crawling all over the place. We wished we were staying longer. After arriving and unpacking we headed to Wholefoods to get some groceries. The Wholefoods supermarkets are amazing and I could literally spend hours in there. They had a bar attached to the supermarket which happened to have a happy hour going on so that impressed the boys. 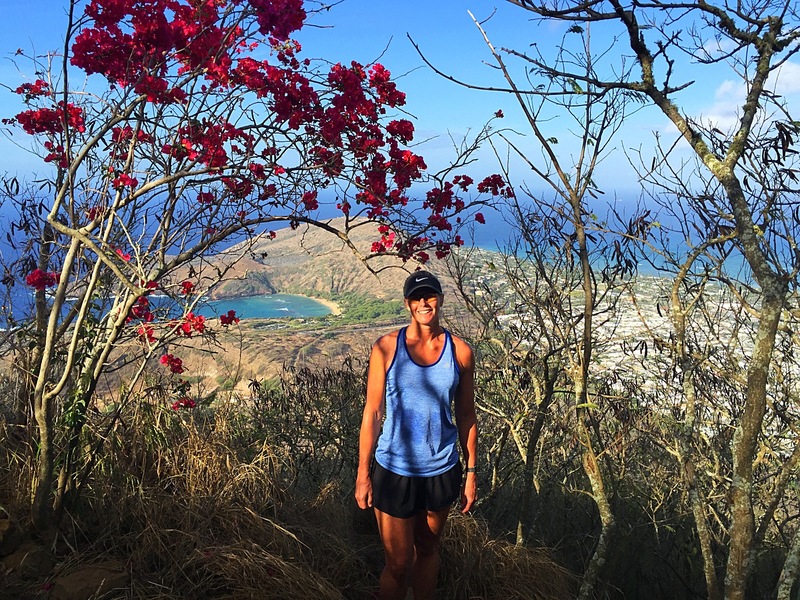 On our first morning on Oahu, Ashleigh and I went to do a walk to the Makapu’u Lighthouse – we had spotted the trail on our way to Wholefoods the night before. Although the trail went up a hill it was all tarsealed and made for a pretty easy walk. 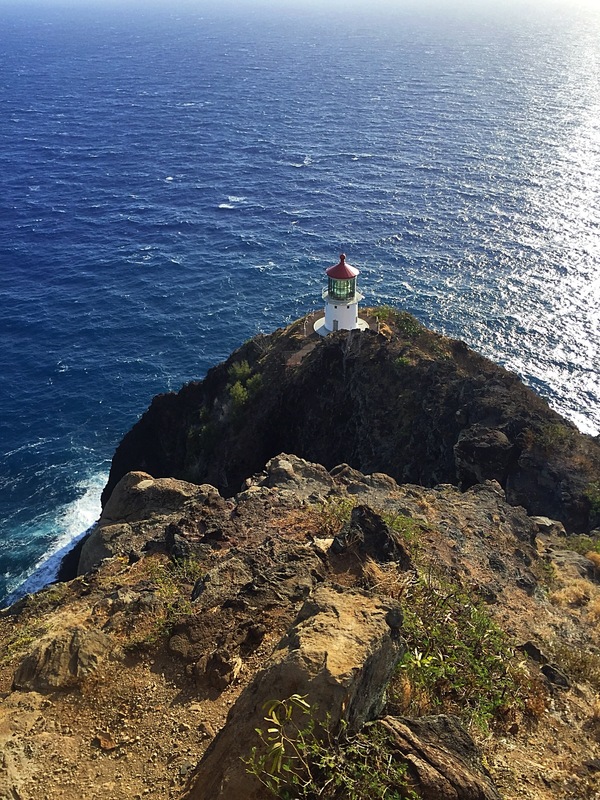 Shipping companies petitioned the government to build a lighthouse at Makapu’s as early as 1888. A light would assist the ships travelling the 26 mile wide Kaiwi Channel between Moloka’i and Oahu at night. It was only after the cargo liner Manchuria with 257 passengers went aground in 1906 that building of the lighthouse began. The 46 foot high concrete tower was complete by 1908 but sat empty awaiting the lens and lantern. An incandescent oil-vapour lamp was installed inside the lens and burned vaporised kerosene under a mantel. The kerosene was stored in the Oil House that had thick concrete walls to prevent fires. The lamp was lit on 1 October 1909 and sent a signal 25 miles out to sea. ‘Stand by the light and keep it burning’ became the motto of lightkeepers after a tragic accident in 1925. Keepers Alexander Toomey and John Kaohimaunu were using alcohol to heat the oil vapour lamp when fumes filled the room and exploded as the match was struck. There was no damage to the lens but Toomey died and Kaohimaunu was burned. The job of the lightkeeper was a hazardous one. These kinds of accidents eventually led to reforms by the Lighthouse Service and a shift to electricity in the 1930s. There were three lightkeeper’s houses situated in a depression on the summit. This location offered some protection from the strong and constant winds. The houses were built of cut lava rock (basalt) and mortar. The walls were 14 inches thick. A lightkeeper and his family had to travel 5 miles to the nearest town. They travelled by foot or on horseback. The children went to school in nearby Waimanalo. In the 1950’s, the population of the Makapu’u Light Station consisted of 4 families with 14 people (8 adults and 6 children). The families left Makapu’u in 1974 when the light was automated and no longer required the services of a keeper. 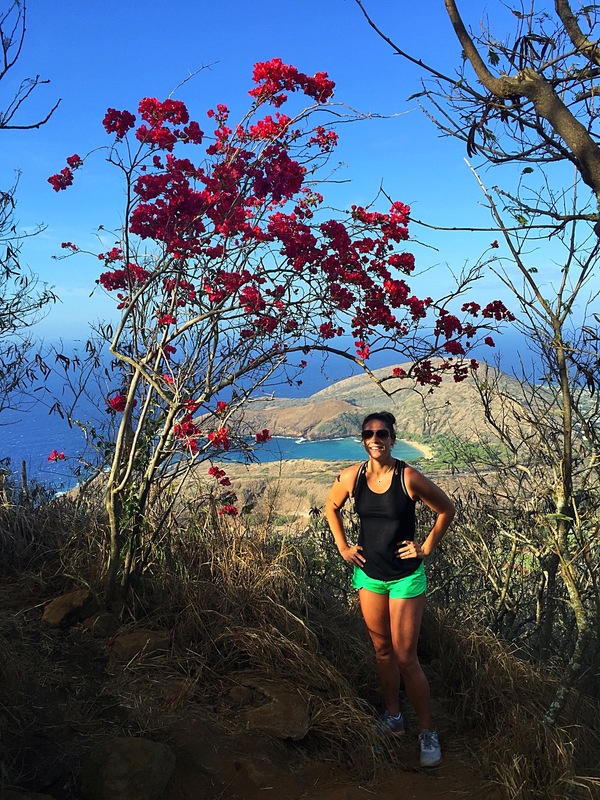 The Hawaiian islands are some of the most isolated islands in the world. More than 25 percent of marine life on Hawaiian reefs is found nowhere else due to the remoteness of the islands. Hawaii is also unique because it is the only place in the USA where humpback whales mate, calve and nurse their young. Every year, from November to May, more than half of the North Pacific humpback whale population migrates nearly 3,000 miles to the warm, protected waters of Hawaii. During whale season it is common to see humpback whales resting near the shore or performing acrobatics displays that can be seen from miles away. In the spring and summer the whales return to the cool, nutrient rich waters near Alaska and other northern areas. Unfortunately it was not whale season so we did not get to spot any of these magnificent creatures from our vantage point above the lighthouse. 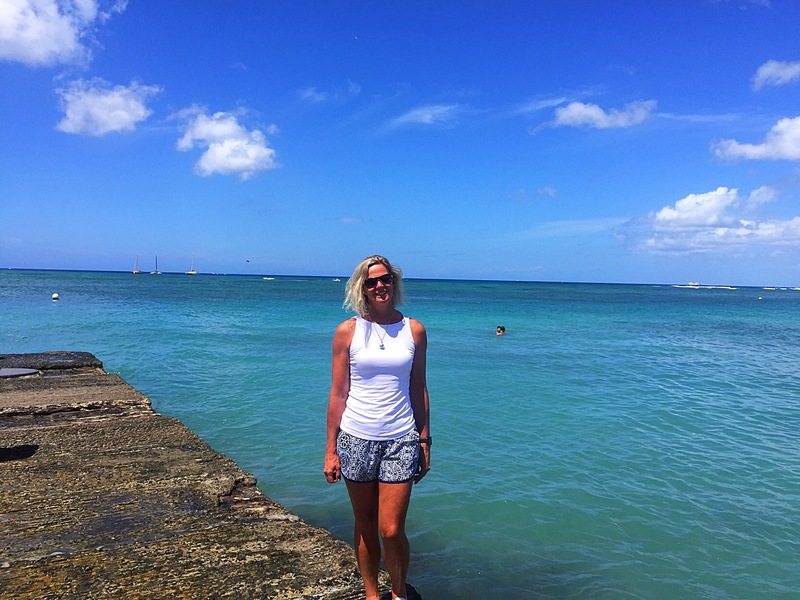 We only had two full days to explore Oahu so the plan on day one was to head to the North Shore beaches along the eastern coast. We stopped off at Shark Cove which is a popular snorkelling spot. It has a lava rock beach and is unique not only because of it’s spectacular underwater rock formations, but also because of its diverse marine life. Apparently the lava has formed underwater caves and tunnels about 15 to 45 feet below the surface which are great for experienced scuba divers. 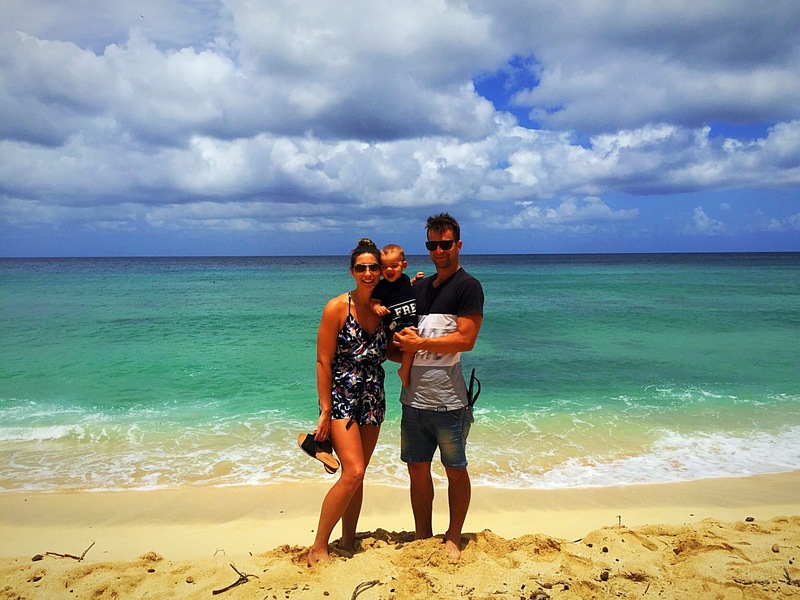 Both Ashleigh and Paul went for a snorkel – I just had a dip in the water to cool off. Next stop was Turtle Beach where we were told your old see the green sea turtles sunning themselves and playing in the water. Unfortunately we didn’t see any turtles sunning themselves but there were two quite large turtles playing in the water just where the gentle surf was breaking. We then carried on to see the famous Pipeline surf beach. The waves can reach heights of 20 feet (6 metres) in the winter months – November to February. We were visiting in August so it was flat – we knew that though so we weren’t disappointed. 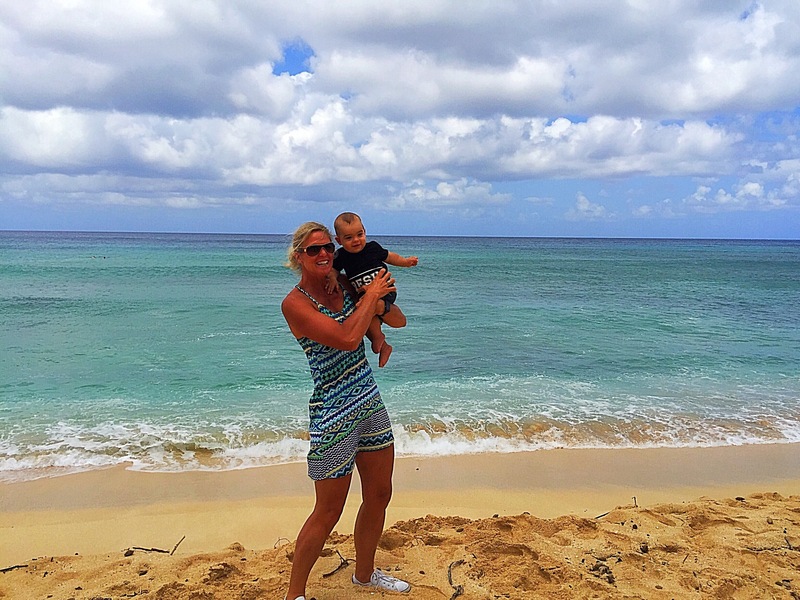 The Banzai Pipeline, or simply “Pipeline” or “Pipe,” is a surf reef break. A reef break is an area in the ocean where waves start to break once they reach the shallows of a reef. Pipeline is notorious for huge waves which break in shallow water just above a sharp and cavernous reef, forming large, hollow, thick curls of water that surfers can tube ride. There are three reefs at Pipeline in progressively deeper water further out to sea that activate according to the increasing size of approaching ocean swells. The location’s compound name combines the name of the surf break (Pipeline) with the name of the beach fronting it (Banzai Beach). It got its name in December 1961, when surfing legend producer Bruce Brown was driving up North with Californians Phil Edwards and Mike Diffenderfer. Bruce stopped at the then-unnamed site to film Phil catching several waves. At the time, there was a construction project on an underground pipeline on adjacent Kamehameha Highway, and Mike made the suggestion to name the break “Pipeline”. The name was first used in Bruce Browns movie Surfing Hollow Days. It also lent its name to a 1963 hit by surf music rockers The Chantays. Numerous surfers and photographers have been killed at Pipe, including Jon Mozo and Tahitian Malik Joyeux, who was famous for his heavy charging (gutsy surfing) at Teahupo’o. Pipeline is often considered the world’s deadliest wave. Its average wave is 9 feet (3 metres), but can be larger. Many more people have died or been seriously injured at Pipeline than at any other surf spot. 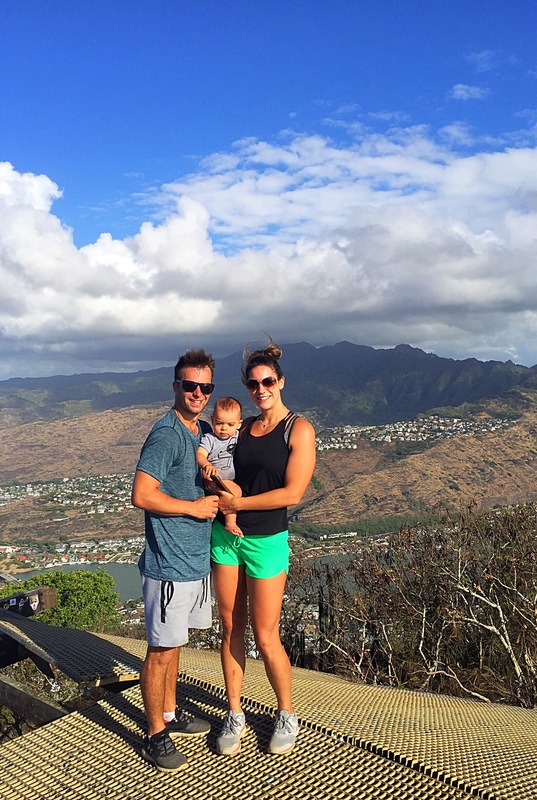 We headed to Haleiwa for lunch and a look around. In 1898 a businessman named Benjamin Dillingham opened a hotel in the North Shore area and named it Haleʻiwa. In the Hawaiian language, hale means “house”, and the ʻiwa’ is a frigatebird. He also built a railway line from Honolulu to Waialua along the west coast around Kaena Point, which opened the same year and ended in front of his hotel. The railroad inaugurated a passenger train, the Haleiwa Limited, which took two hours for this trip. 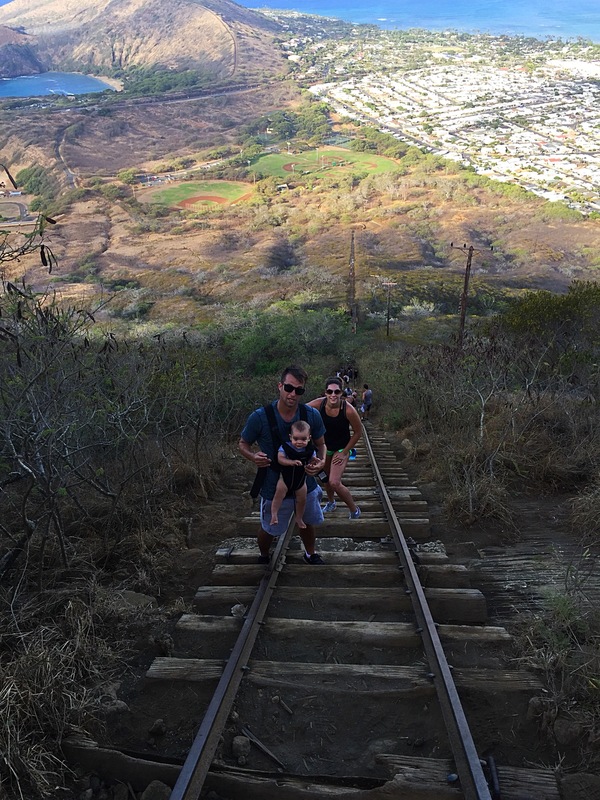 This railroad was chartered as the Oahu Railway & Land Company. Hale’iwa was designated a State Historic, Cultural and Scenic District in 1984 by the City and County of Honolulu. All new buildings must adhere to a design plan that reflects the territorial architecture of Hale’iwa’s earlier sugar industry period. The town is home to 30 historic buildings featuring plantation architectural styles influenced by the Waialua Sugar Co.
Ashleigh had been here a couple of years before and didn’t get a chance to paddle board down the Anahulu Stream which is located at the end of town so we did it this time. It was a very relaxing paddle. Some people coming the other way told us that they had seen turtles so we went on the lookout – I managed to see one poke it’s head up but Ashleigh saw a couple more – I was going too fast : ). 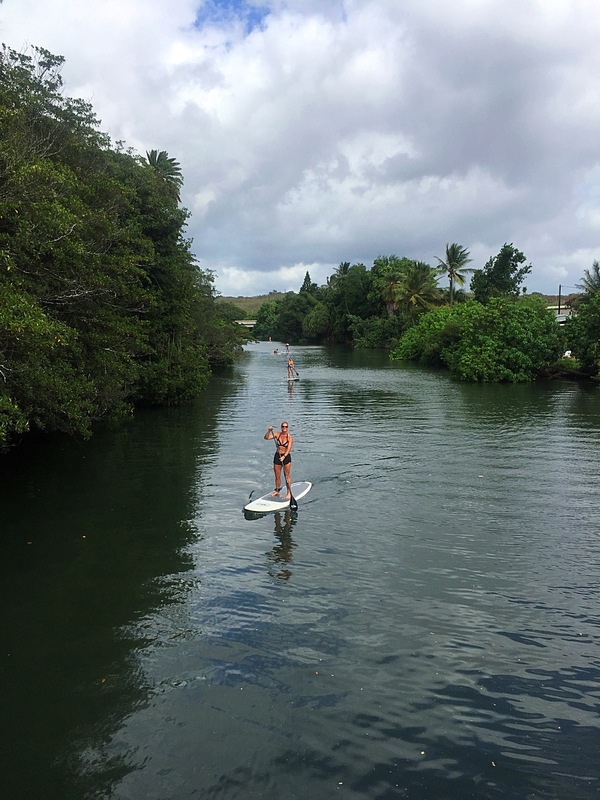 The Anahulu River is the longest watercourse on Oahu and is 11.4km long – due to some big boulders you can only paddle 1.7km up it from Haleiwa. Over the past 15 years the green turtles or honu have been moving in and out of the stream. 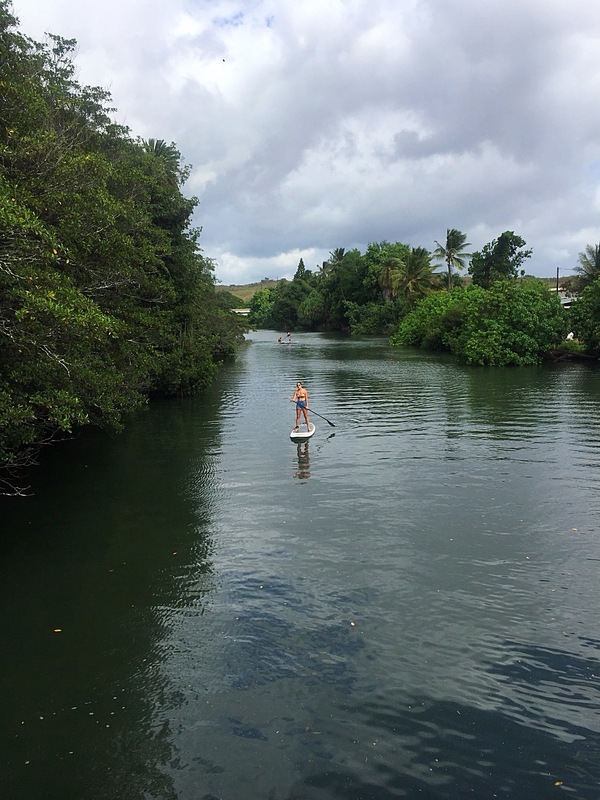 In order to better understand the river habitat use by the honu, a research project began to track the honu’s movements using hypersonic tags and inwater receiving stations to pick up signals from the tags. They tagged 15 turtles in October 2016 and have been monitoring their movements ever since – all 15 turtles remain in the area off and on. 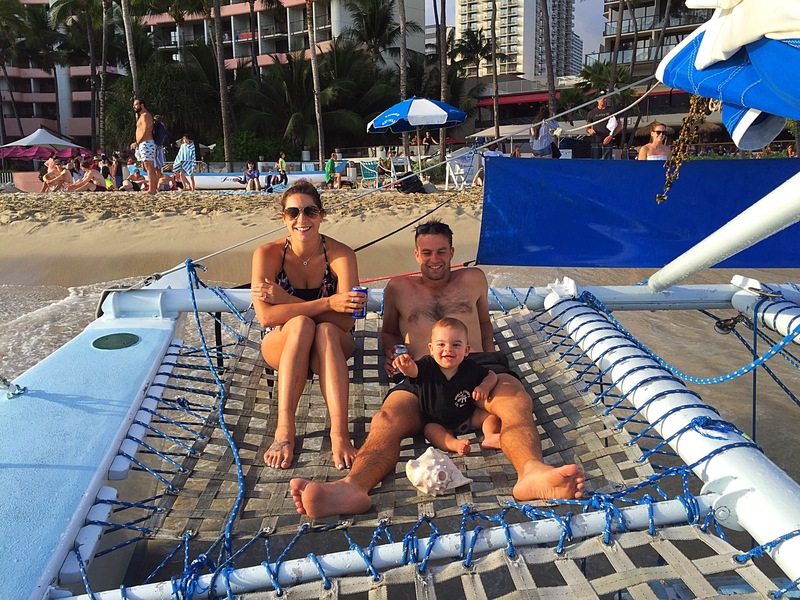 Next stop was Waikiki Beach where we had booked a sunset cruise on a catamaran that left from the beach. The traffic turned out to be a bit of a nightmare so we only had about 15 minutes to spare to get down to the beach. The crew were a pretty relaxed lot and we didn’t leave ontime anyway! They warned us before we got on that the waves crashing in on the shore were causing people to get a little wet while they waited on the boat. Steve managed to get fairly wet just hopping on the boat – a wave crashed on the beach just as he was climbing the stairs. We grabbed a drink and settled ourselves on the netting at the bow of the boat. 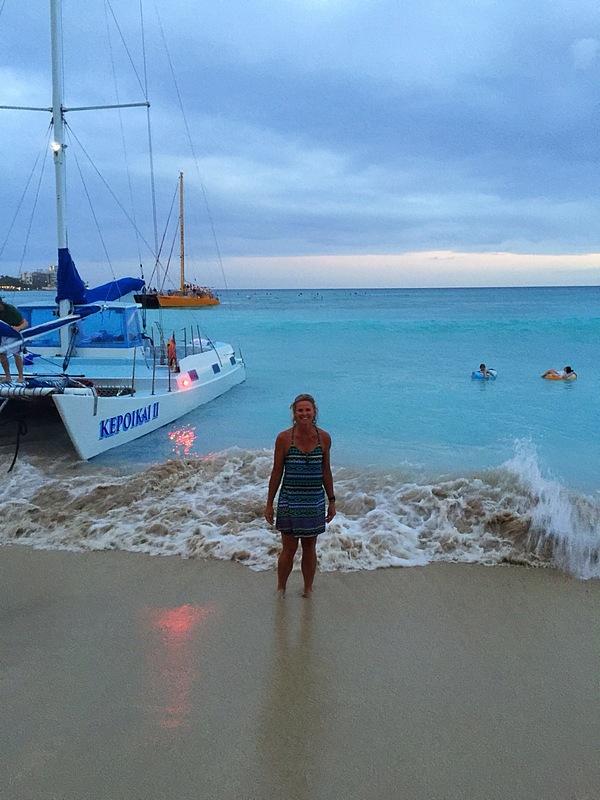 The waves were rolling in and we got a little wet – the water was warm so it wasn’t a problem. In my mind I was thinking that the waves were just breaking on the beach and it was going to be dead calm once we got underway. When we finally got underway I realised this wasn’t going to be the case. It was quite choppy out there. It didn’t take long before Steve went and sat in the boat and Ashleigh and Taj were not far behind him although they had all got quite wet. Paul and I stayed up there and got absolutely drenched. There was a women’s volleyball team on board from the University of California (UCLA) and they were all in their bikinis – they had the right idea! When we got back to shore Ashleigh was talking to the crew telling them about her previous experience being calm and they said she must have picked one of only about 15 days a year when it is calm. The conditions we had incurred were normal. 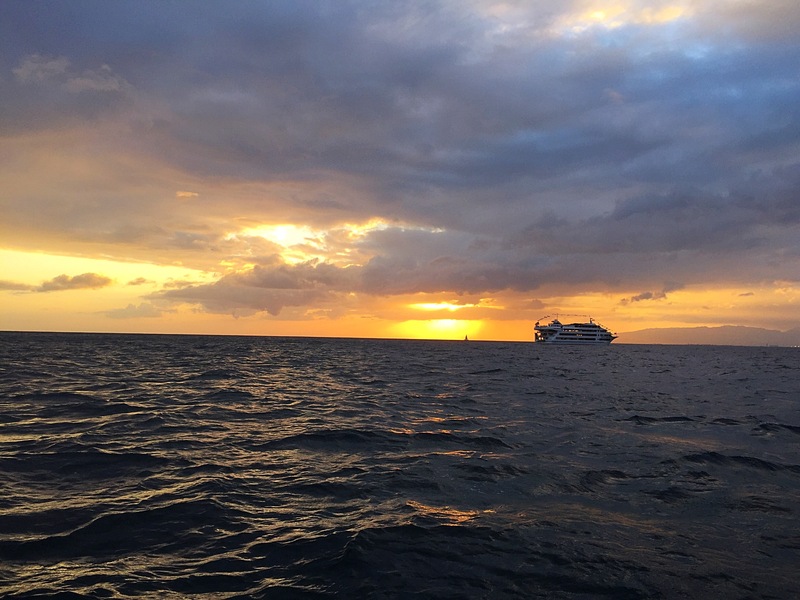 I think they need to re name the trip from a Sunset Cruise to a Sunset Adventure – a sunset cruise conjures up images of drinking cocktails as you sit back and relax to watch the sun set. Most of our drinks ended up heavily diluted with sea water and there was no sitting back relaxing watching the sun set. 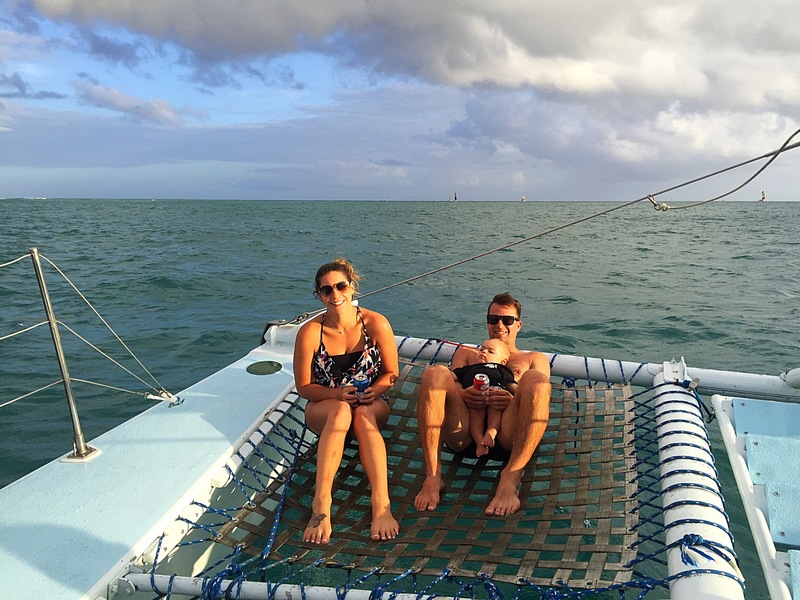 The catamaran we sailed on was called Kepoikai which means “Crest of the Wave” in the Hawaiian language – a very apt name for the experience we had just had 🌊😂. The boat was built in 1977 and it was a pretty sturdy vessel. The aftermath – a drowned rat! 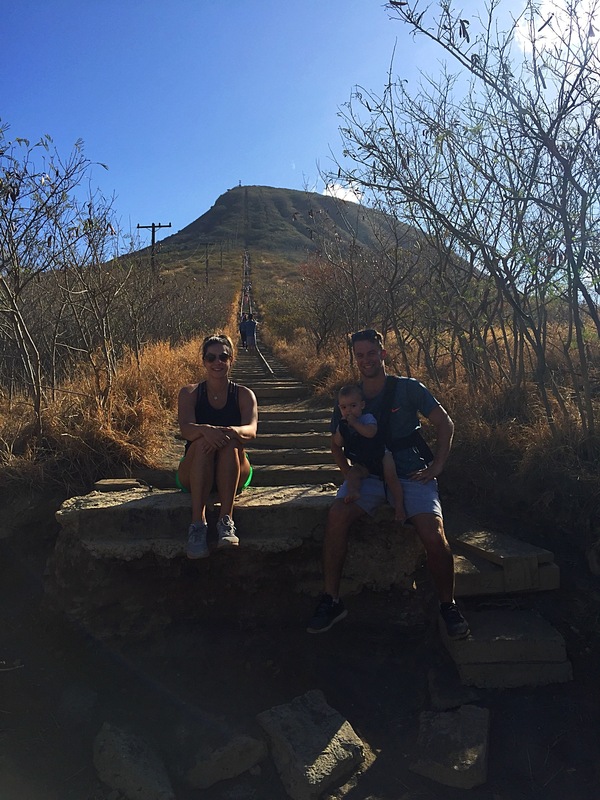 Ashleigh had googled another walk close to us which went up the old Koko Head railway track to the summit of Koko Head. Paul and Taj had decided to join us for this walk. We got there around 7.30am and it was pretty popular with people of all shapes and sizes heading for the trail. We looked up and could see all these stairs – how hard can it be! 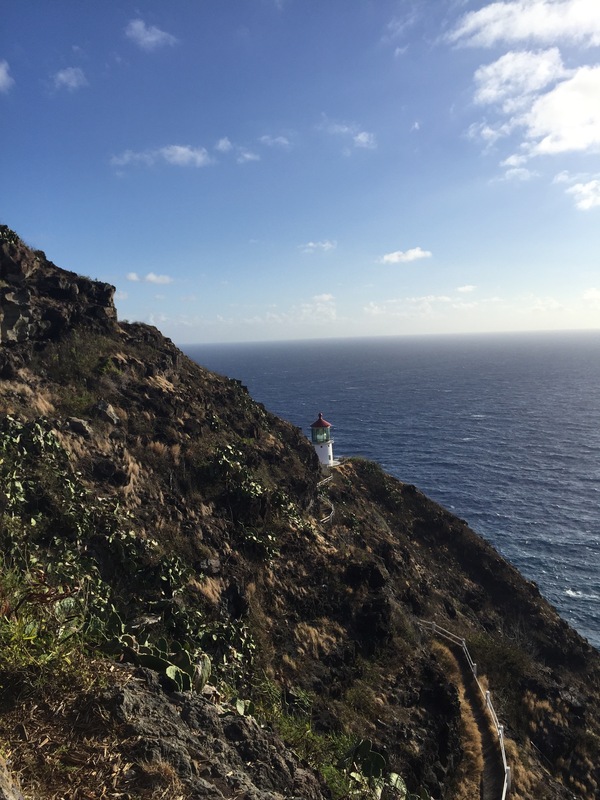 There are 1,048 stairs in total to the top which sits at 1,200 feet above sea level. 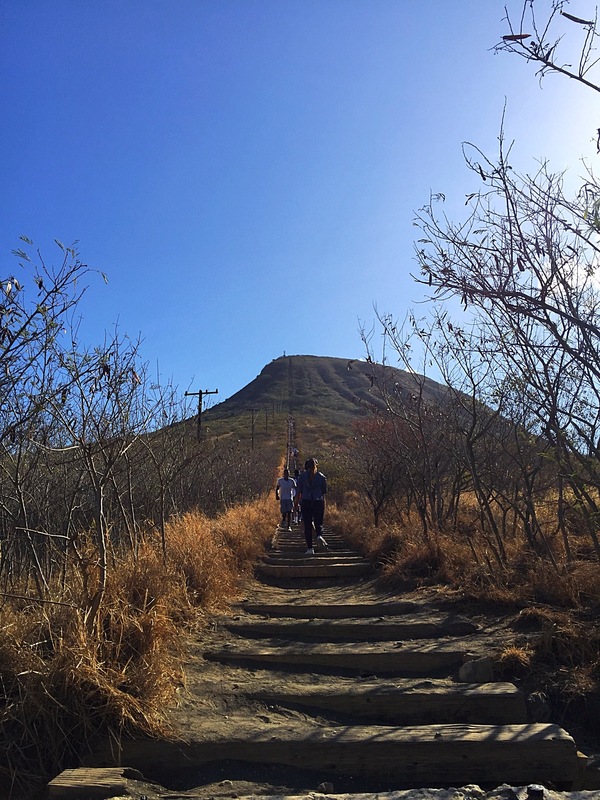 Koko Head is often called nature’s stair master, but humans helped the evolution of the incline by adding a railway during World War II in order to transport military personnel and supplies up to the lookouts which were built at the top. 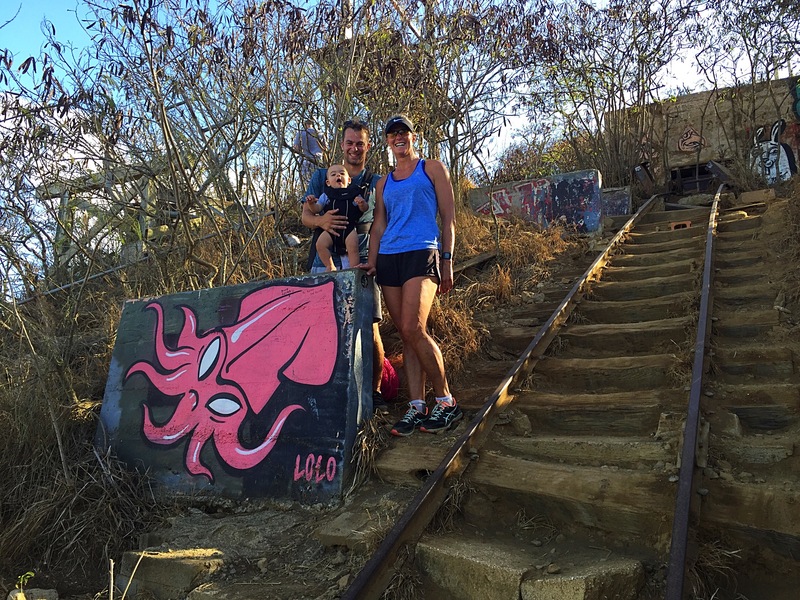 Today, all that remains are remnants of old lookouts and a trail lined with railroad ties. It was a fairly challenging climb and we stopped often to replenish our resolve. 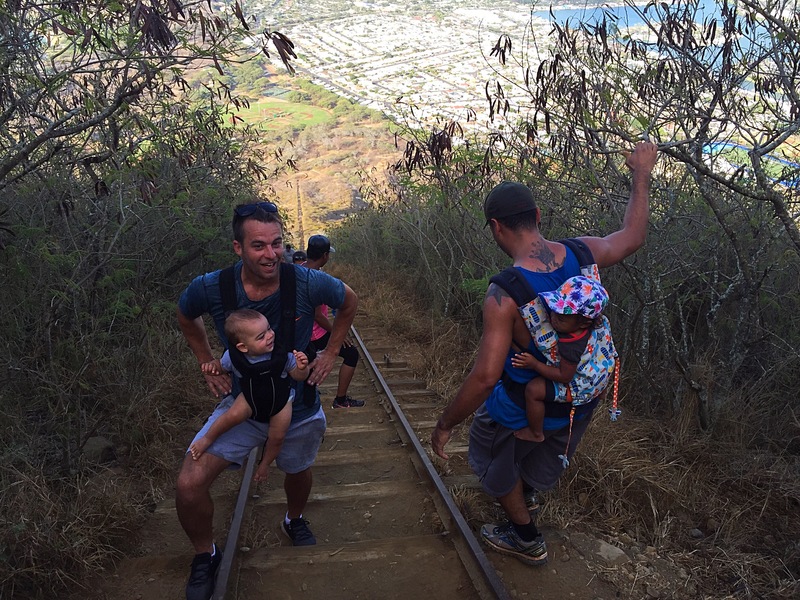 Paul was carrying Taj in a front pack so this was pretty tough going for him. Taj of course was having the ride of his life and again attracting the attention of the other hikers with his super cuteness 👼. The views at the top were well worth the effort though and we spent a bit of time up there admiring them. I thought the descent might be a bit tricky but it wasn’t too bad. After recovering from our morning exercise and then having breakfast we headed to Waikiki to have a look around. The area was a retreat for Hawaiian royalty in the 1800s who enjoyed surfing there on early forms of longboards. A few small hotels opened in the 1880s. In 1893, Greek-American George Lycurgus leased the guest house of Allen Herbert and renamed it the “Sans Souci” (French for “without worries”) creating one of the first beach resorts. Later that year Robert Louis Stevenson stayed at the resort; subsequently it became a popular destination for tourists from the mainland. 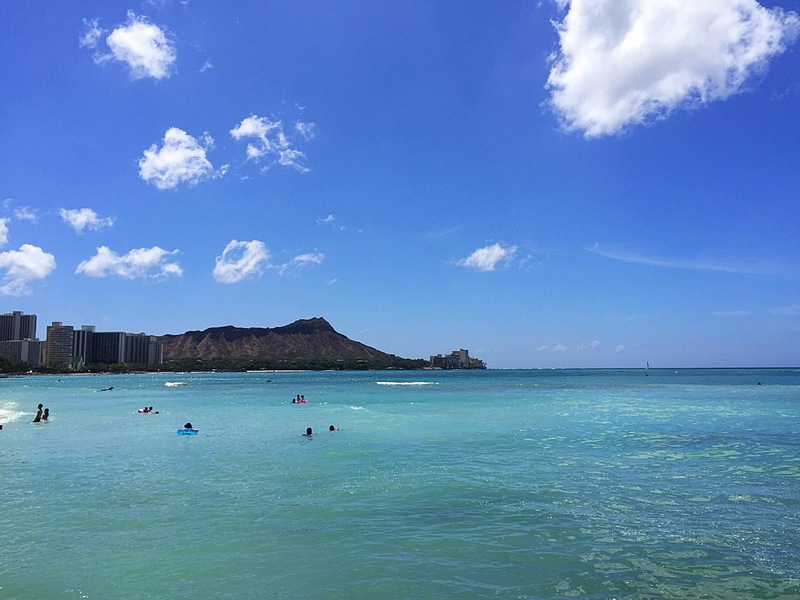 Today, the area is filled with large resort hotels, such as the Hilton Hawaiian Village, Halekulani, the Hyatt Regency Waikīkī, Marriott Waikiki, Sheraton Waikīkī, and historic hotels dating back to the early 20th century (such as the Moana Surfrider Hotel and the Royal Hawaiian Hotel). 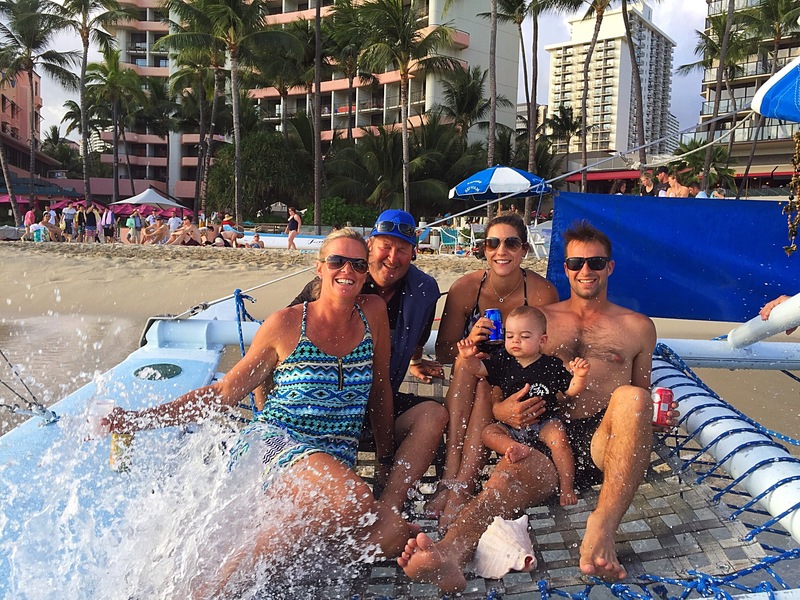 The beach hosts many events a year, including surf competitions, outdoor performances, hula dancing and outrigger canoe races. 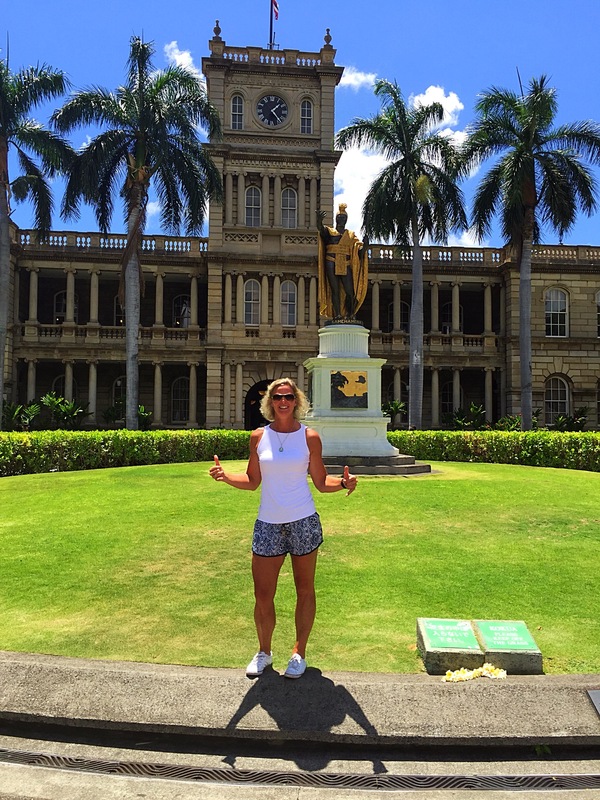 Next stop was the Hawaii Five-O headquarters – I so wanted to meet Steve and Danno 😜. Unfortunatley they were on holiday so I had to settle for a photo outside by myself. It turns out that they only use shots of the the outside of the building in the TV series to depict the headquarters. See below for 8 Myths about Hawaii Five-0. You can go inside and sit in one of the old court rooms which we did. The architecture inside is a far cry from the modern architecture portrayed in the TV show. The building depicted as the headquarters is called Aliʻiōlani Hale. It is currently used as the home of the Hawaiʻi State Supreme Court. 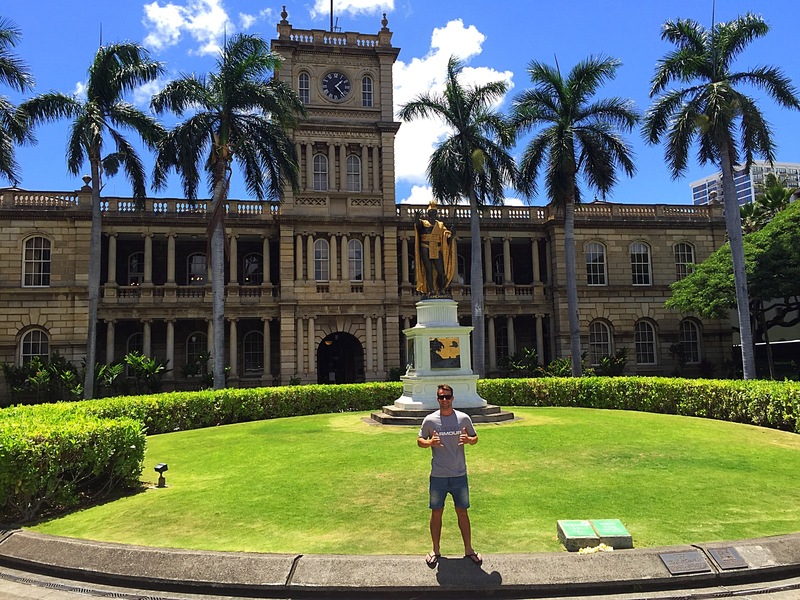 It is the former seat of government of the Kingdom of Hawaiʻi and the Republic of Hawaiʻi. 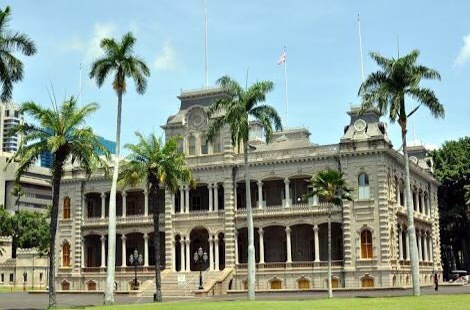 In the 2010 version of CBS’ Hawaii Five-0 TV series, Aliʻiōlani Hale is depicted as the Iolani Palace; headquarters for the Five-0 task force with exterior shots of the building being used frequently throughout the series. 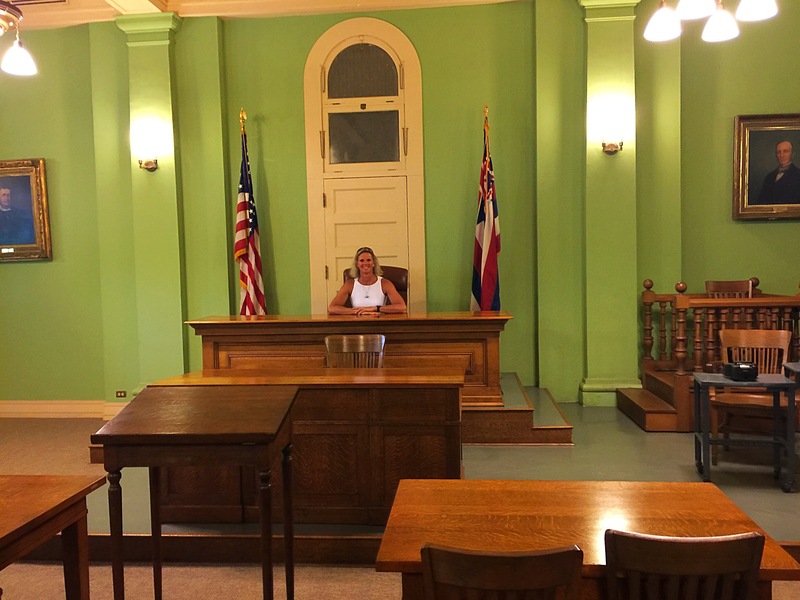 Over the next many decades, most of the state judiciary functions moved out of Aliʻiōlani Hale to various other buildings around Honolulu (including the state district, family, and circuit courts). Today, the building houses the Hawaiʻi State Supreme Court and is the administrative center of the Hawaiʻi State Judiciary. 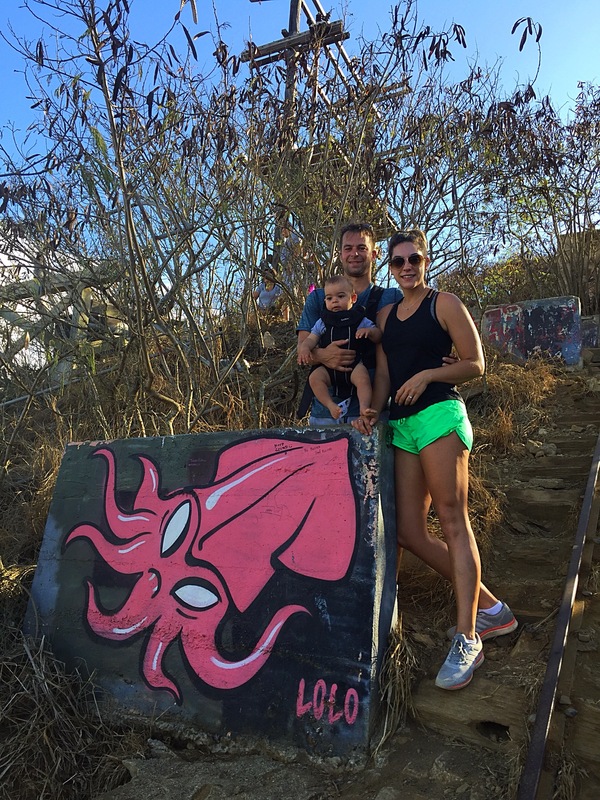 Sheila and Andy, a couple of Hawaii nerds and frequent visitors to Oahu, noticed some things about the show that don’t exactly portray reality. Myth 1: Honolulu is laden with crime. 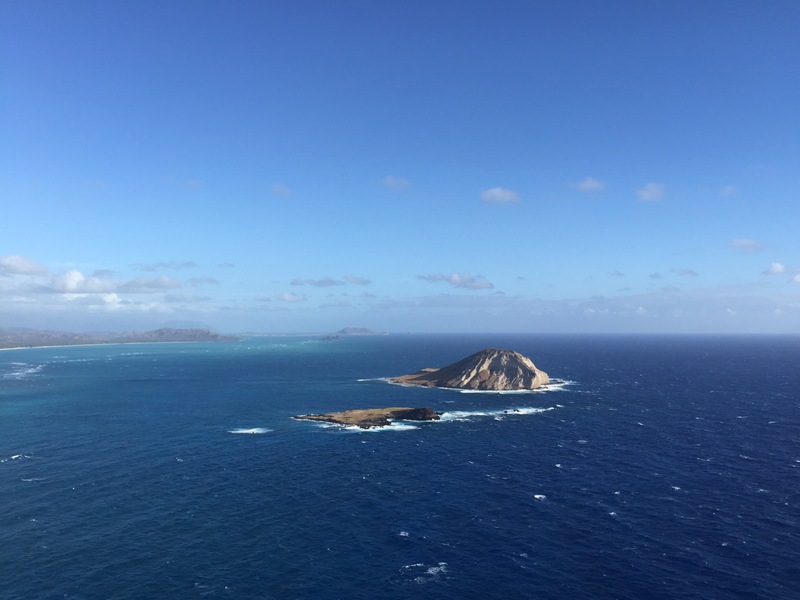 The show’s ongoing plot is built on fighting crime in Honolulu County, which is the island of Oahu. So, crime is naturally emphasized each week, but Honolulu is the nation’s third safest city per a recent Forbes report. Myth 2: You can use your cell phone while driving. As McGarrett and Danno drive around Oahu, they sometimes pull out their cell phone for personal calls. While that may be ok for law enforcement, that’s against the law for us civilians. If, as a civilian, you are caught driving while talking or texting on a mobile phone, you could get a $67 ticket. In fact, if you’re caught just holding a cell phone or any other electronic device while driving, you get a ticket. When the detectives gather at headquarters, a scene of a very attractive historic building shows on the screen with a caption that it’s their headquarters. Well, those are actually scenes of Iolani Palace and Ali’iolani Hale in downtown Honolulu. Ali’iolani Hale is located across the street from Iolani Palace. 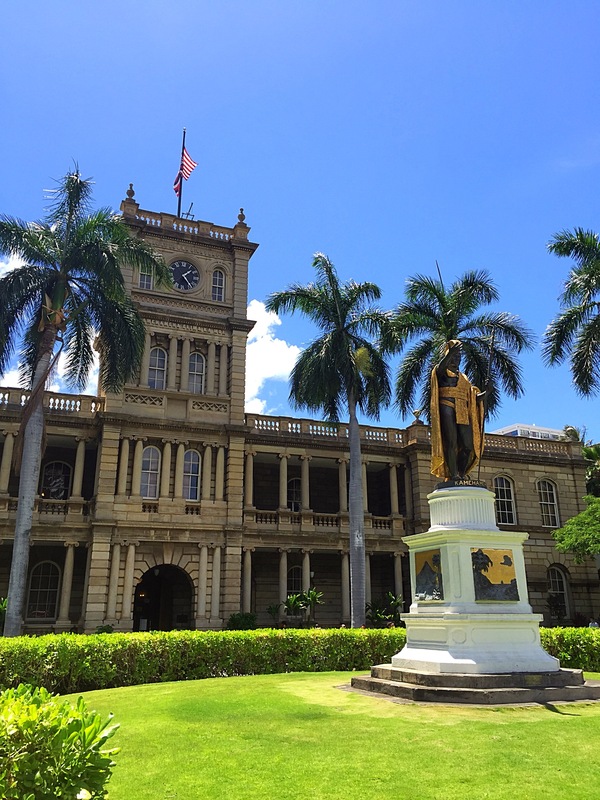 Ali’iolani Hale is home to Hawaii’s judicial system. Myth 4: Kukui High School Fighting Nuts! Let’s go Nuts! In a recent episode, we learned that McGarrett played football at Kukui High School. That’s a fictitious high school. Some enterprising local guys have generated a social media stir by creating a website along with facebook and twitter pages supporting this fictitious high school. You can even become an alum of this high school and play along. 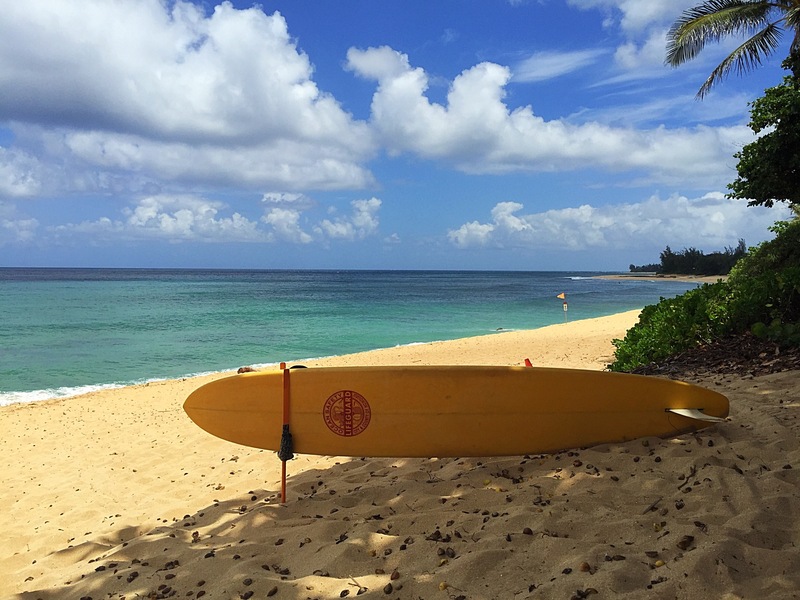 Myth 5: The North Shore is just few minutes away from Waikiki. 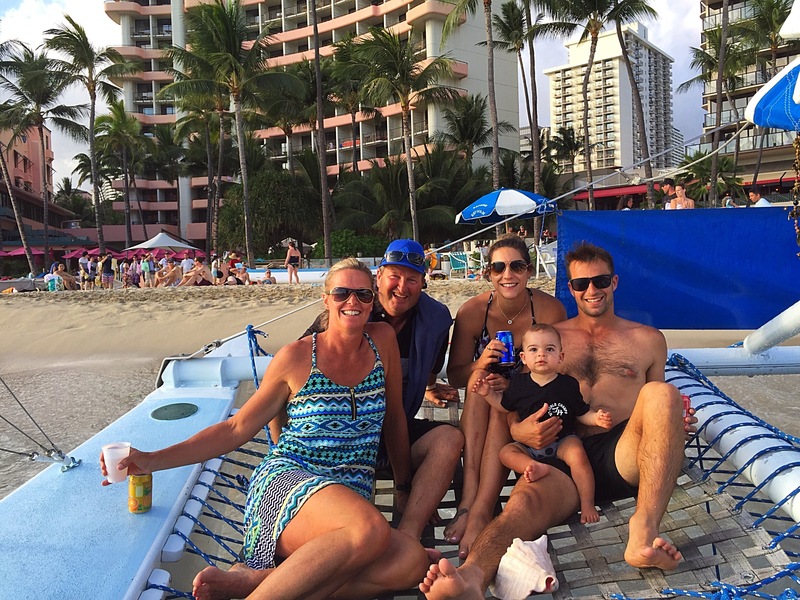 Sometimes, you’ll see the guys driving from the North Shore down to Waikiki or Ala Moana beaches within minutes. While, we’d all love that to be true, in reality, you need to allocate about 45-minutes to an hour to make that trip. Myth 6: You can openly drink wine on the beach in Hawaii. In a recent episode, we saw McGarrett and his lady-friend enjoying a sunset barbeque and bottle of red wine on the beach. Well, consuming alcohol on the beach is actually illegal in Hawaii. Myth 7: Sunrises are sunsets. 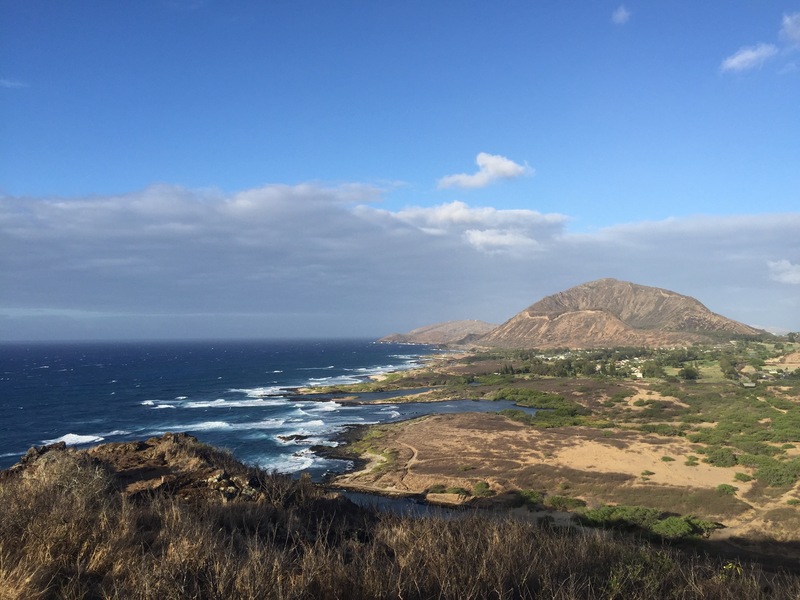 In the scene mentioned in myth 6, we are led to believe it’s a romantic sunset beach barbeque, but that scene was actually filmed on the eastern shore of Oahu. 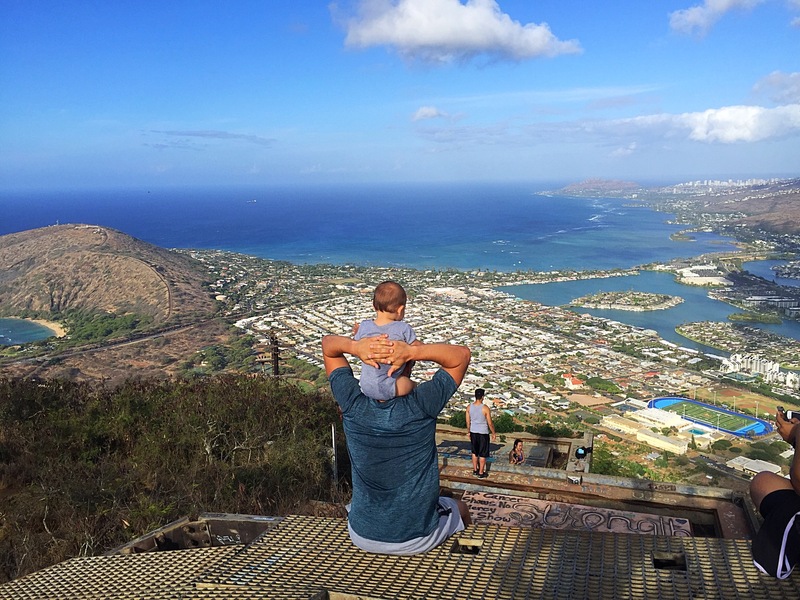 (If I remember correctly, you can see Kaneohe in the background.) So that romantic barbeque was really at sunrise. Doesn’t seem as romantic now, does it? I learned that I’ve been mistakenly typing Hawaii Five-O, with the letter O. CBS would like to refer to the show as Hawaii Five-0 with a zero. So if you’re searching for official information about the show, you need to use a zero, not an O. Murder – is the unlawful killing of one human being by another. A Coroner’s Jury – examines the causes and circumstances of any death which occurs by violence or under suspicious conditions. The coroner conducts the examination with the assistance of a jury. Witnesses may be called to testify. A Grand Jury – is a group of citizens that hears evidence against a suspect and decides if probable cause exists o formally charge the suspect with a crime. A Trial Date – is set by the court once it is determined that a crime has been committed and a suspect has been charged. In a trial, the defence and the prosecution argue and can present evidence through witnesses to prove their point. The defence has no obligation whatsoever to produce any evidence. A judge or the jury, decides if the accused is guilty or not guilty of the crime. A Verdict – is the decision of guilty or not guilty. After the jury hears the evidence, the judge instructs the jury on the applicable law. The jury retires to a separate room and makes a decision. The verdict is announced to the courtroom. The Appellate Court – reviews cases when a trial court decision has been questioned. The court upholds or reverses the decision of the trial court. If the decision is reversed, the case often goes back to the lower court for a new trial. 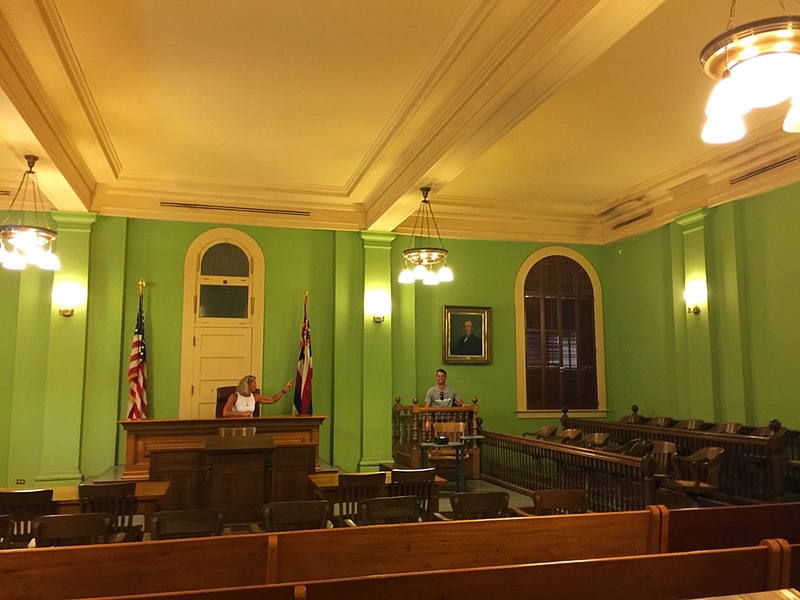 The Hawaii Supreme Court – is the highest court in the state and was the highest court in the territory. The court decides questions of law (or mixed questions of law and facts) in cases that are appealed from a lower court. A decision of the Hawaii Supreme Court is final but may be reviewed by the United States Supreme Court. 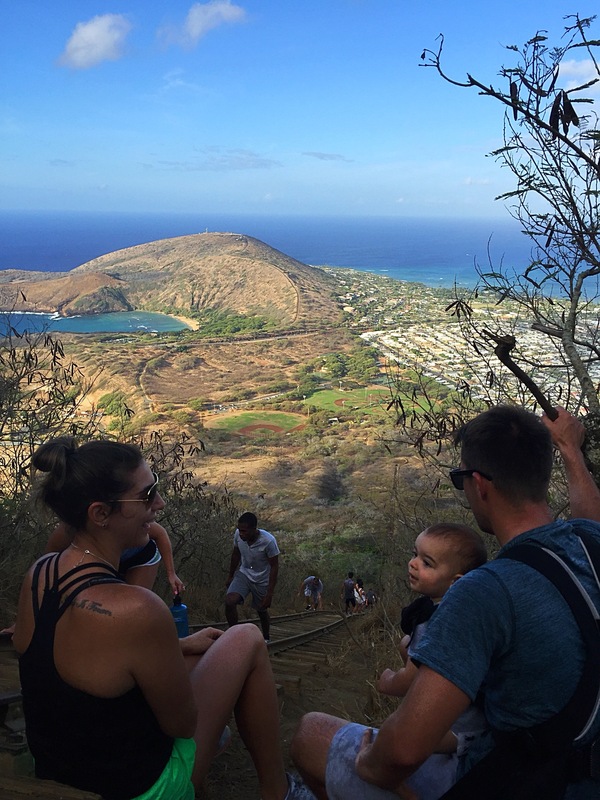 This entry was posted in Hawaii, USA, United States of America and tagged oahu. Bookmark the permalink.